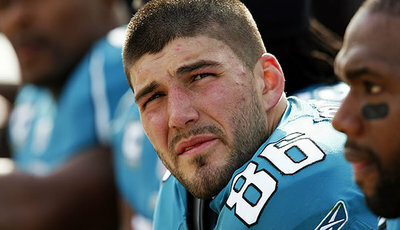 I recently had the pleasure of getting an exclusive interview with Jaguars TE Zach Miller. Miller was a 6th round pick in 2009 out of the Nebraska Omaha. Zach appeared in 15 games last year starting in five of those games. Zach had 20 receptions for 216 yards. I asked him questions ranging from what he has done to keep busy during the off season to how he feels he could help expand the Jags offense. Here is my interview with Zach Miller in its entirety. How have you kept busy during the off season with the lockout in effect? — just keeping busy with workouts and taking advantage of the extra family time. Has there been any team workouts organized during the lock out? — we have got together a number of times throughout the summer. For workouts in the weight-room and for drills on the field. I feel like they were productive. What are your hopes for the upcoming season, as far as what you would like to accomplish? — I just need to focus on staying healthy. When I do that I believe I can open the game up a little bit. Just because I can play a handful of different positions. I feel way more comfortable now that I have played TE/WR for 2 years and I think the staff is getting more comfortable with my abilities as well. But I need to be available, so staying healthy is key. You played Quarterback in college, do you see this coming in handy as far as gadget plays that could utilize your passing skills? — I would love to do some form of the wildcat, we could put a lot of weapons back there. But it’s just a matter of if we need that dimension. Coach Koetter is pretty effective with his game plan so if he thinks we need that wrinkle I’m sure he wouldn’t hesitate. How do you feel everything has been handled regarding the lock-out? — it’s been long. But we are getting close. That’s really all I can say. I’m confident in every person representing the Players and we should be playing football soon. What was it like to hear your name be called during the Draft in 2009? — that day was a dream come true. I’m still dreaming. It was just a great day to get the call. I Had my family there and a couple of close friends and we just all enjoyed the whole experience. I’m from such a small town (Weston,Ne) so for something like this to happen is pretty special. How do you feel the team has progressed over the past few years, do you see the playoffs as being a real possibility this year after being so close last year? — I see a different team than i did my first two years. WE believe we can win. And you can feel it when we get together. The workouts we had, the team drills, the meetings, you can feel the difference. It all starts with great leadership, and we have guys that are taking that roll and are doing a great job with it. We are all excited to get back to work. And when they allow us back our goal is a world championship. That’s what we play for, there is no more let’s win the division or let’s try and make the playoffs, let’s win a championship. Zach seems poised to make the next step in his career and help take the team to the next level. Hopefully he is right and this lock out will be over soon and we will get back to seeing football. Confidence is riding high with this team and with Zach as they prepare to embark on a new season with high hopes, and only time will tell how Zach and the team do in the 2011 season. Miller has been underrated in his career in my opinion. 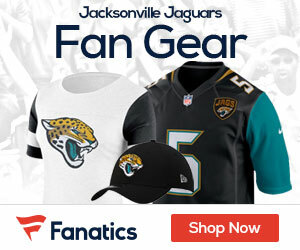 Here’s hoping that the jags use him more in 2011! Thanks for the interview on one of my favorites!